Ants filter in and invade the home space, scavenging for food and water. They form a single file marching across the kitchen floor, emerging from a crack in the wall and spreading through the space. Their seemingly random walk, departing occasionally from the rank and file, leads each worker ant on a journey of chance. Who can tell what wealth of crumbs lie waiting to be discovered? 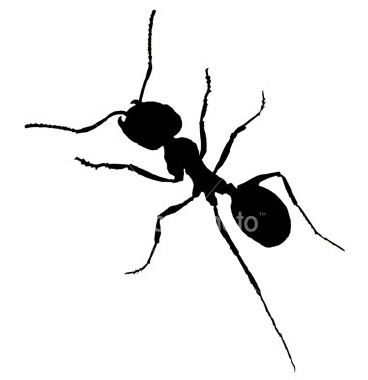 The ants communicate using a scent that biologists call "pheromones". They lay down the invisible track apparently at will, allowing others to track and easily follow. The ants form an uneasy relationship with human hosts. Their human benefactors don't like them much, but the ants are rather insensitive houseguests. They seem to take it in stride. They continue about their industry despite every rebuff.